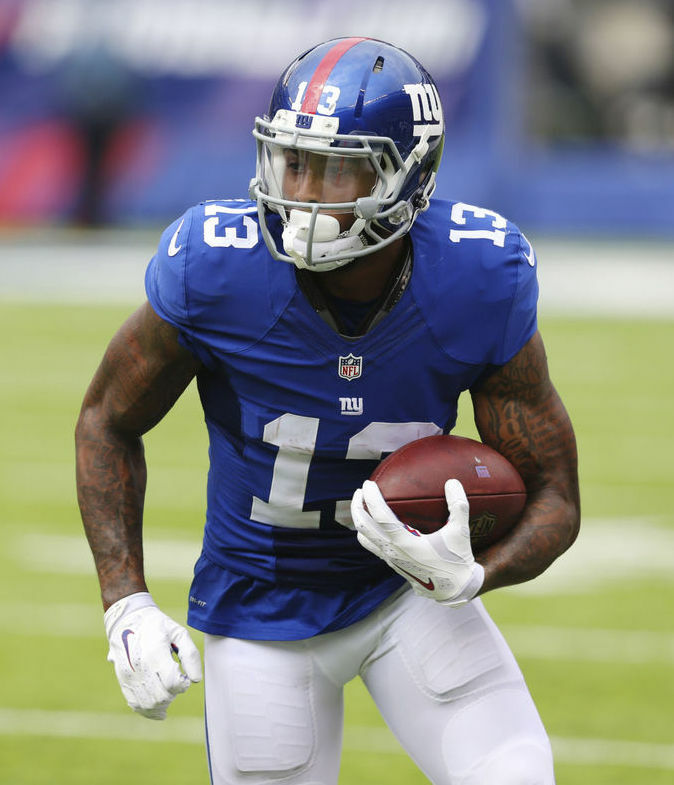 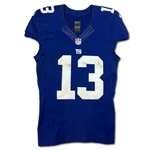 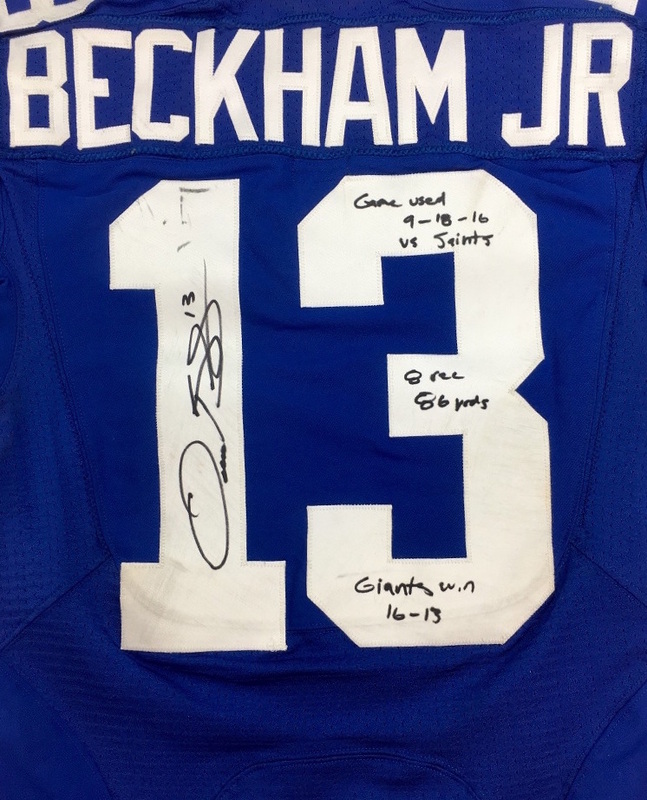 The amazing master of the one hand grab, Odell Beckham Jr. wore this home New York Giants jersey on Sept. 16th 2016 versus the New Orleans Saints. 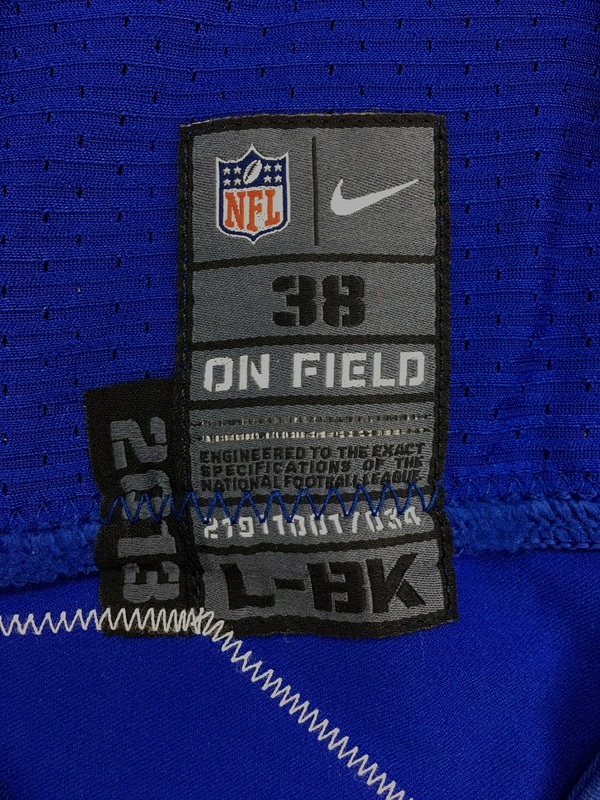 This Nike jersey is tagged "2013", "L-BK" and is labeled size 38. 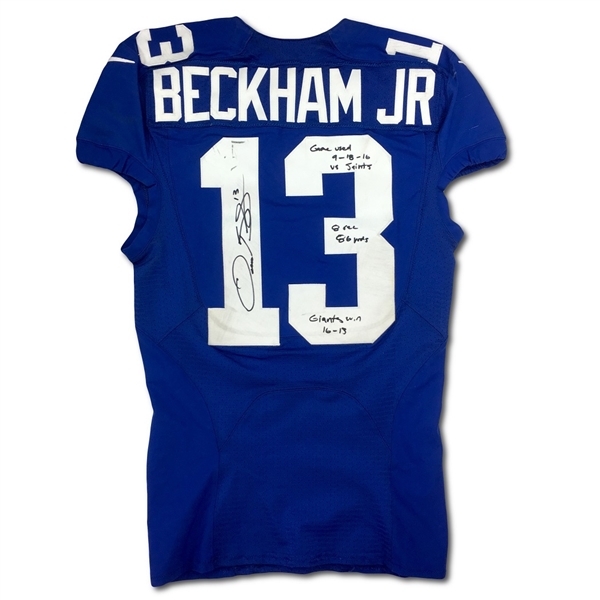 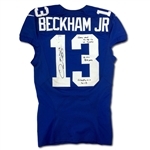 The jersey features "BECKHAM JR" on "13" on front, back and on both shoulders in white tackle twill. 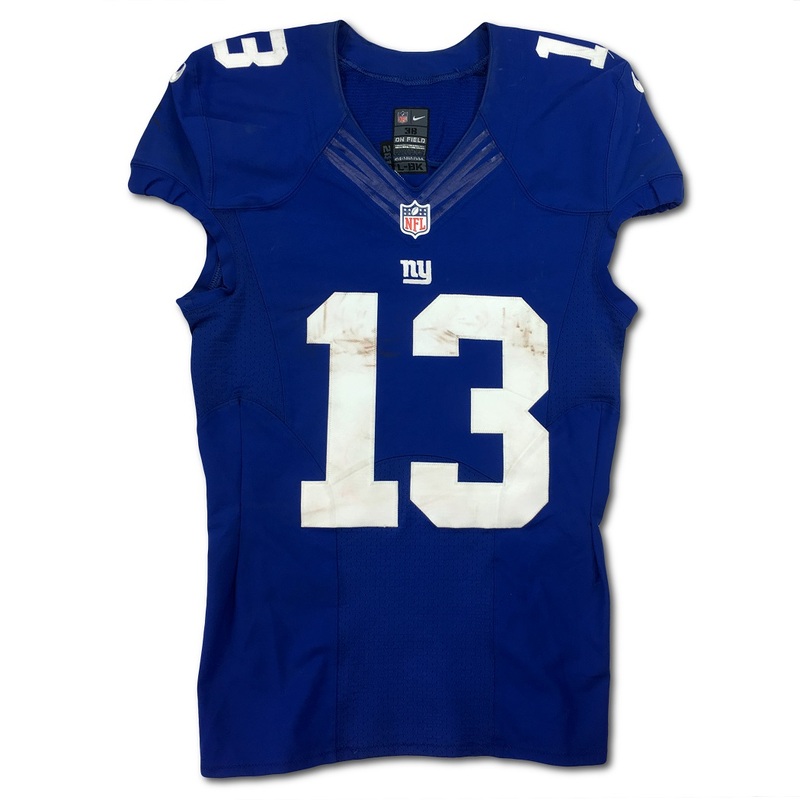 The garment shows great game used with hit marks and stains that are prominent on both front and back. 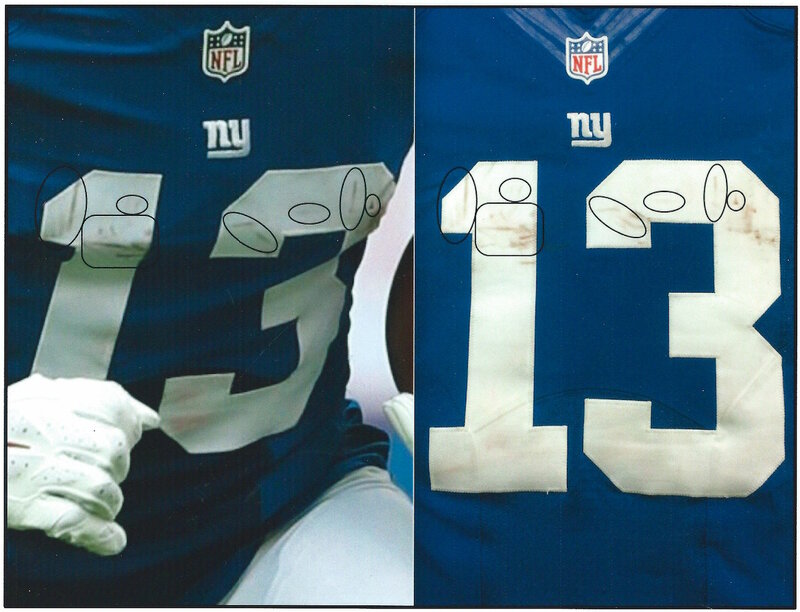 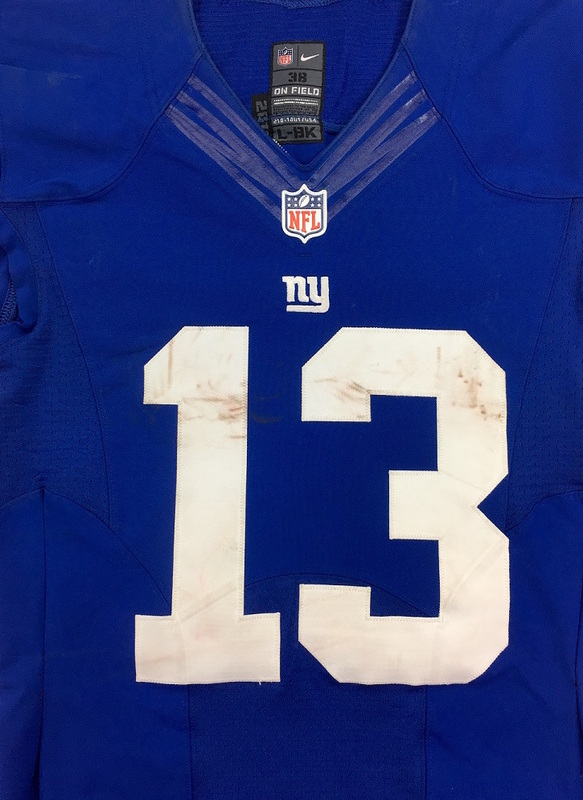 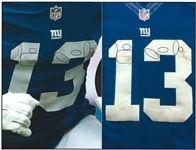 The jersey is signed on the rear "1" and inscribed "Game Used 9-18-16 vs Saints, 8 rec 86 yards, Giants Win 16-13" on the rear "3" in black sharpie. 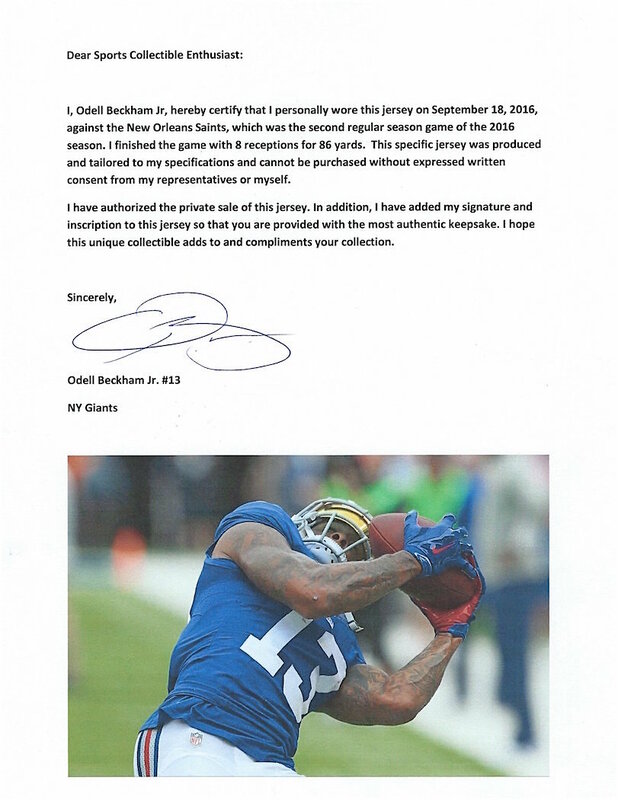 The jersey is accompanied with a photo match letter of authenticity from Real Game Used as well as a signed letter of origin from Odell Beckham Jr.